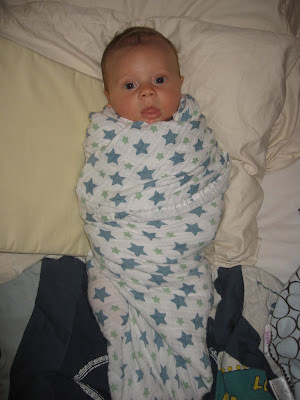 Okay, so Aiden is so precious- he is almost 5 months old and still insists on being swaddled...he loves it! We joke that he is going to be the only one year old still swaddled. 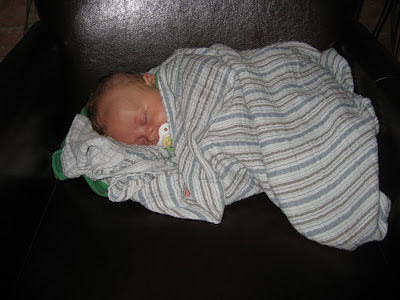 Thank you MaryLiz for giving us such awesome blankets that are big enough to swaddle him in at any age! They are called aden and anais baby wraps. So he wants to be swaddled, then rocked then "snuggle bunnied". 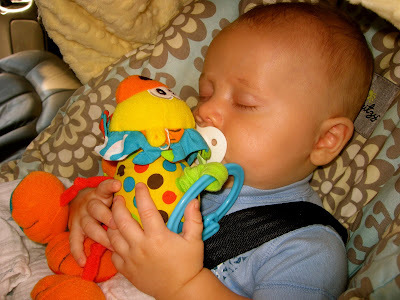 As soon as he is touching cheek to cheek or has his blankie touching his cheek or a stuffed animal of somesort, he will go right to sleep. I think it is so sweet!!!!! I cried last night because I just love him so much. 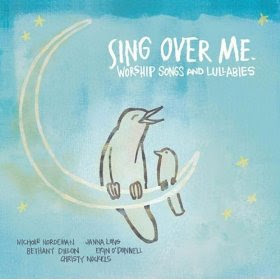 I was rocking him (with the most wonderful cd of all time playing...I strongly recommend it) thinking about how as parents we pray for their little souls...that they will choose to follow and love God the way we have. I just love him so much and was thinking, how will he ever truly know how much I'd do anything for him. I'd give away all my blessings if he could have them....if only it worked that way. So here are pics of our little snuggle bunny....such a sweetheart. I love you little man. I am also going to put up some recent studio pics! A dear friend gave us this little car to "drive" Aiden around the studio in and he LOVES it!!!!! We, too, LOVE that CD...it still is soothing to Latham when he goes to bed...even at 2 1/2 years old. It really is the best! Aiden is precious! Ha! I love the little car for the studio- I need one of those! Hi Casey! 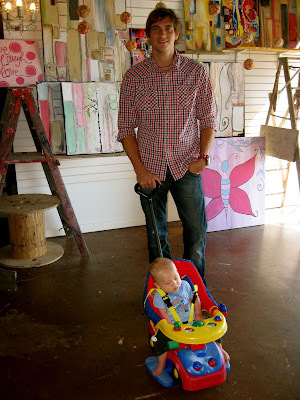 I just found your blog, and truly I love it. It has already been so inspiring to me. I was curious what kind of bottle that is the picture... is it a Wee Go? We have tried a few bottles, but I haven't found one I love yet, and was curious what you used. Also, how long were you able to use those blankets to swaddle? My baby girl is 7 weeks old tomorrow, and I am looking for a bigger blanket to better swaddle her in. If you have time to answer, I would appreciate it so much. Thanks!